There's a 30-50% likelyhood of tornados within the stormy areas. Urgh. 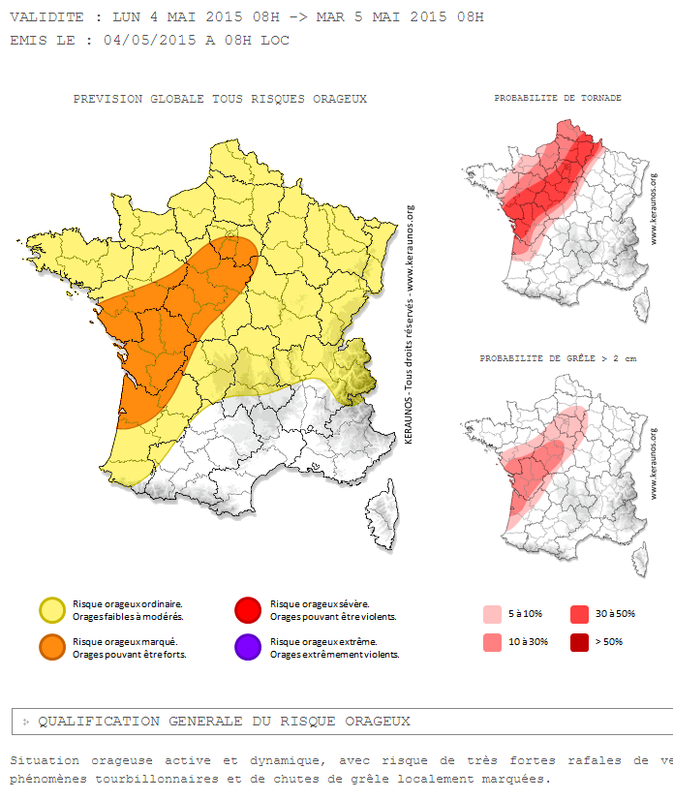 Looks like we are fine for now, there are 2 big storms over Dreux and Chartres, about 45 km from us, but they dont expect storms by our town until midnight to early morning... We'll just do like or neighbors and shut the windows and doors. Other than that it have been a slow monday. I have planned our Social Media posts for the week, written some of them and sent a ton of emails. I also cleaned the kitchen and livingroom.